1952-During the post-season action that season, the Detroit Red Wings swept both the semi-finals and the finals in four games straight. They first eliminated the Leafs, then downed the Canadiens, in the minimum number of games. What is equally amazing is that their netminder, Terry Sawchuk, allowed only five goals in those eight matches, racking up a phenomenal goals-against-average of 0.50 in the finals, and 0.63 overall. Not since the days before forward passing opened up the game so dramatically had such unheard of magic been accomplished between the uprights. Not a single puck got by him in the four contests on home ice in the Motor City. It is a no-brainer that he would have easily won the Conn Smythe Trophy had it been up for grabs during that era. 1956-When the new season began that fall a major rule change had been instituted. It stated that a penalized player could return to the ice when a goal was scored by the opposing team. Previously there had been no limit to the number of goals scored when a team was short-handed. The catalyst prompting this change in regulations rested squarely on the potential of the Montreal Canadiens’ power play. If there was a single instance which catapulted this alteration, it was Jean Beliveau’s astonishing performance on November 5, 1955. Within the space of 44 seconds of five on four action against Boston, “Le Gross Bill” fired three pucks by a beleaguered Terry Sawchuk. 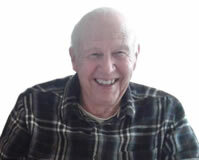 Not long after that President Clarence Campbell announced that he would like to see that rule changed. 1960-The hockey world was all aghast when the Toronto Maple Leafs set a new record in 1949 by winning their third straight Stanley Cup. Ottawa was the first NHL team to win two Cups in a row, in 1920 and 1921. Ten years later, Montreal repeated the feat, in 1930 and 1931, and Detroit followed suit in 1936 and 1937. Still, a championship hat trick was new. But when the ticker tape parade went into the shinny history books in 1960, those same Habitants had turned the trick no less than five times. Somehow three times seemed to pale in comparison. Toronto repeated their performance from 1962 through 1964; the “Flying Frenchman” had a Four-season run from 1976 through 1979; and the Islanders duplicated that from 1980 through 1983. But no one has—and no one is ever likely—to imitate such a feat in the future. 1964-It was in the Maple Leaf’s completion of their three-year coup that an individual’s heroic efforts made headlines, and is still remembered by hockey historians and serious fans half a century later. In game six of the Stanley Cup Final against Detroit, rearguard Bobby Baun stopped a Gordie Howe shot with his leg. He was carried off the playing surface on a stretcher and taken to the Olympia infirmary. He remembers feeling certain it was broken, but urged the trainer to get him back in action. The limb was frozen to numb the pain, wrapped tightly, and encased in a skate again. 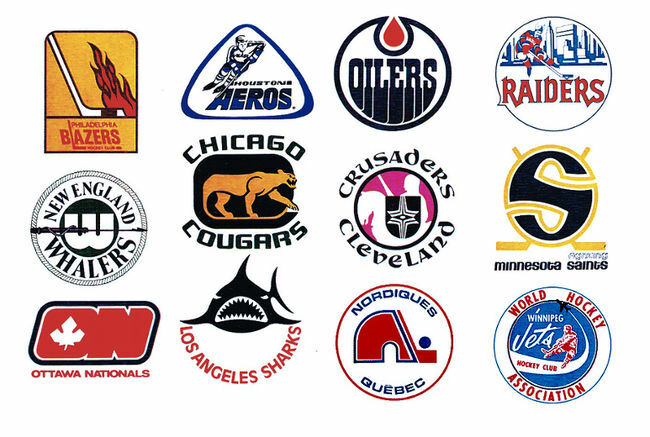 1968-Six new teams had been added to the “Original 6” fraternity to begin the new campaign in the fall of 1967. The result was the first East versus West format to decide major league hockey’s championship since the old Western Hockey League’s Victoria Cougars and the NHL’s Montreal Maroons squared off for hockey’s top prize in 1926. From the league’s Western Division, the St. Louis Blues topped the Flyers and North Stars to reach the final. After eliminating the Bruins, then the Blackhawks (who had disposed of the Rangers), the Habs took on those upstart Missouri newcomers. They had more than their hands full. Although they won the series in four straight, each game was decided by a single goal—and two of the matches went into overtime. The Blues’ veteran goalie, Glenn Hall, put on one the most captivating demonstrations of twine tending in the league’s history—and rightfully won the playoff MVP award. 1972-The predictable knee-jerk response to the mention of that year is predictable. The memorable “Summit Series” between Canada and the Soviet Union was dramatically trumped by Paul Henderson’s “Goal of the Century”, as it has been called. Everything about that series doesn’t necessarily cause true hockey fans to lick their lips in satisfaction. But the dramatic “storybook” finish to the eight-game challenge is hard to duplicate. Of course the founding of the World Hockey Association battles for prominence in the game’s historical archives. The establishment of that rebel major circuit sent the salary scale for shinny’s mercenaries spiraling—and that scary phenomenon has never stopped. 1976-Some strange things have happened to Boston Bruins’ sub goalies playing in Toronto. There was Rev. George Abbott in 1943, a military chaplain who filled in for the ill Bert Gardiner; Don Keenan, a St. Mike’s Junior backup, called at home to hotfoot it to the Gardens to replace Harry Lumley in 1959; and Dave Reece whose shell-shocking on February 7 sent him back to minors for good. That evening has been designated as “Darryl Sittler’s big night.” At that time, he was under Harold Ballard’s scrutiny for not contributing, playing for the Leafs which has a dismal 1-4-2 record in their last seven games—facing a sextet 20 points ahead of them in the standings. But it was one of those nights when everything the Bud’s captain shot went in. He ended up with six goals and four assists, setting an NHL single points record which still stands. The arena statistician had informed him after the second period that with eight points at that juncture, he was only one point behind the Rocket’s record. Within 44 seconds, he had tied it, and at the 9-minute mark of the third frame he broke it. 1980-The Philadelphia Flyers did not win the Stanley Cup that year, but they made the headlines nevertheless. They set a record for most games without a defeat. A total of 35 games with either wins or ties began with a 4-3 victory over Toronto on October 14, 1979, and ended with a 4-2 win over Buffalo on January 6, 1980. One of the most dramatic finishes in the battle for Lord Stanley’s silver chalice took place on May 24th. The New York Islanders clinched their first of four “World Championships”, when Bob Nystrom redirected a pass into the Flyer’s cage past Pete Peeters at 7:11 of the first sudden death overtime. 1984-The book by this title, authored by George Orwell in 1948, concocted the venue of the world as it would be 36 years in the future. It conceived a scenario anything but desirable. But in the real world, the draft that year offered a prize to the Pittsburgh Penguins coveted by every other team in the league. Mario Lemieux, the boy wonder from the Laval Voisins was snatched up first overall—to no one’s surprise. There are still many who claim the “Magnificent One” actually possessed more raw talent than the “Great One”, Wayne Gretzky. The bottom-feeding Steel City sextet jumped 15 point in the standing the next season—and within four campaigns Mario was the new scoring leader in the loop. In a lighter vein, “Mr. Waynederful” stuck his foot in his mouth after a visit to New Jersey, calling it a “Mickey Mouse outfit”. It resulted in a new fashion trend, with hundreds of fans turning out dressed as the Disneyland rodent for the next game. 1988-Most hockey historians agree that there have been few trades which could be classified as “blockbuster”. But they are most likely to include the one which brought “King” Clancy to Toronto on 1930; the startling Howie Morenz swap in 1934; the Leafs/Blackhawks exchange which sent Max Bentley to the Queen City in exchange for a complete forward line and defense pairing; and the lopsided move whereby Phil Esposito became a Boston Bruin. Yet none of these shook the hockey world, and influenced the success of the game in certain quarters, like Wayne Gretzky’s transfer from Edmonton to Los Angeles. The fact that other players were included in the transaction paled in comparison to the $15 million which was the apex of the trade. After that which has been tagged the “biggest trade ever”, even the job security of superstars became subject to sabotage. 1992-Even the 10-day walkout by NHL’ers which commenced on April 1st, had to take a back seat to the bizarre stand taken by Eric Lindros, the 1991 first-round draft choice, chosen by the Quebec Nordiques. His refusal to honour that transaction is old hat. He held out the entire 1991-92 season, skating mostly for Canada’s National team. Only after constant haggling did he finally join the Flyers for the 1992-93 campaign. This cast a whammy on the amount of control owners have over their employees. 1996-“Moving” was the buzz word for this 12-month period. The Nordiques moved to Denver to become the Avalanche, and the Jets moved to Phoenix and adopted the name Coyotes. The Sabres, Flyers, Senators, and Canadiens all moved out of their arenas. The New Jersey Devils moved from Stanley Cup champions to also-rans. And Mario Lemieux moved to the top of the Art Ross Trophy class—the last player to exceed 150 scoring points in a season (161). As the campaign concluded, seven pucksters now could be classified as millionaires—three of them, including Gretzky and Kurri as multimillionaires. 2000-The NHL was satisfied with the new overtime format (granting a single point to the losing team after that five-minute extra frame, and two for the winners). 50% fewer games were undecided than previously. But there was a dark cloud or two hanging over the loop. Marty McSorley viciously slashed Donald Brashear on the head on February 21. He was suspended 23 games, plus playoffs. In March, Dallas’ goalie Ed Belfour was arrested for assault and resisting arrest, during a seven-hour encounter with police. Two months later Temmu Selanne recklessly smashed into a car driven by the president of Finland’s Ice Hockey Federation. Tampa’s Gordie Dwyer was handed a 23-game suspension for tangling with Linesman David Brisebois. To cap it all off Patrick Roy was arrested as investigation began of domestic violence. It was a breath of fresh air to read something positive: the report that the Bure brothers, Pavel and Valeri had exceeded the combined season total goals of brothers Bobby and Dennis Hull. Pavel’s 54th in April gave them an aggregate total of 89. 2004-That was the beginning of the “season that wasn’t” in the NHL. When opening face-offs were planned in several cities around the continent, the lights were out in 30 different arenas. The lockout commenced on September 16, and by February 16 the last ditch stand to salvage the 88th season of the league had failed. It is superfluous to hash and rehash the ups and downs and ins and outs of this standoff—enough to declare it was blotch on the history of professional sport’s history. 2008-One of the contentious issues relating to the game of hockey has been the subject of fighting. Over the years there have been continuous appeals to ban fisticuffs from Canada’s National Sport. Regardless of the common sense arguments for curbing brawling, too many shinny icons have supported its presence, maintaining that it prevents overt stick-work, kicking, and—well, you name it—it has been dished up as a reason to keep this “outlet for emotions” in the mix. Even though many obvious examples of serious injury have been pinpointed, the continuing appeal persists that “nobody ever really gets hurt in fights”. This debate garnered more fuel for the fire again in December of that year. Senior “A” Whitby Dunlops player, Don Sanderson, was involved in a bout on the 14th; lapsed into a coma—and died on January 2nd. There were appeals from several quarters sounding the alarm: “Senior league tragedy should serve as a wakeup call!” And, even though former tough guys like Pat Quinn and Mike Milbury urged that “it’s time to take fighting out of hockey”, the “ostrich head in the sand” stance prevailed—and still does. 2016 is a leap year. What landmarks will established this time around? Steven Stamkos could actually leave Tampa Bay? Will Connor McDavid win the Calder Trophy playing only part of a season? Possibly the NHL will finally enlarge the goal nets to increase scoring? Stay tuned!